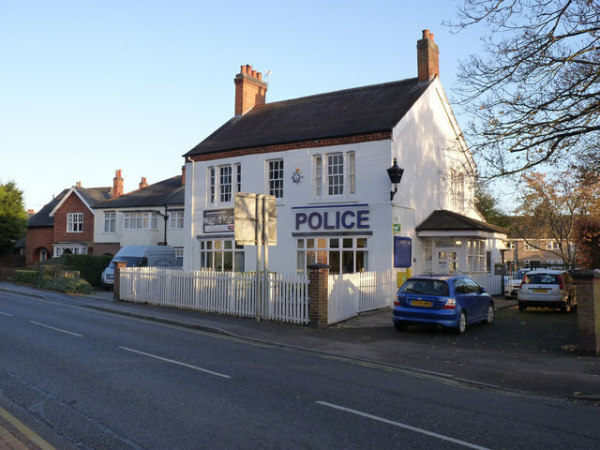 We were given the challenge of Changing the old police station in syston into a new headquarters for an established local business. 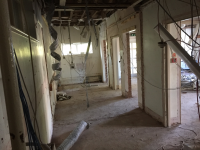 A lovely old building that will be given a new lease of life. 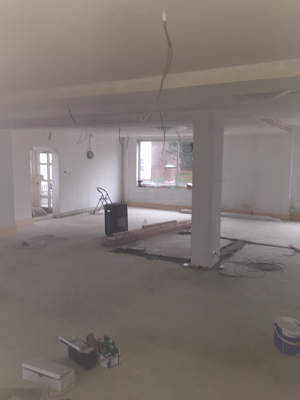 Stage one was to carefully remove all of the old walls, floors and ceilings to create a new modern and open work space. As you can see there was a lot to be done. 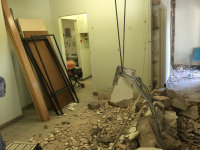 Our team worked hard and efficiently to get the job done with no impact on surrounding businesses and residents. 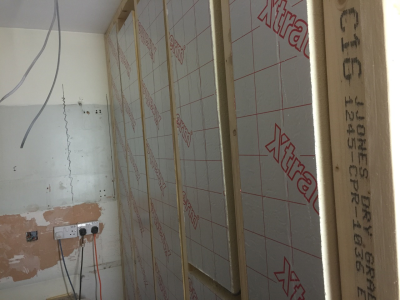 the Steels are in, walls and ceilings being rebuilt, this is now the fun part of the project where we start to see the new office take shape. 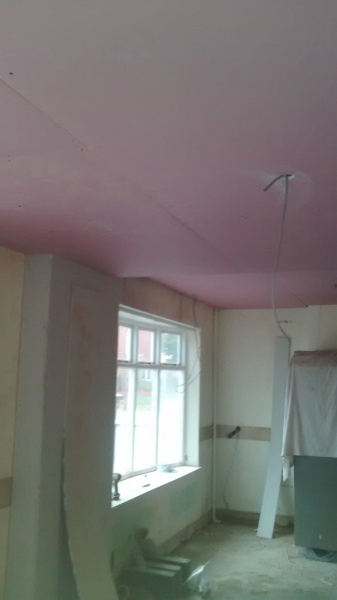 One ceiling all boarded, ready for finishing. More photos to come as the project develops.. 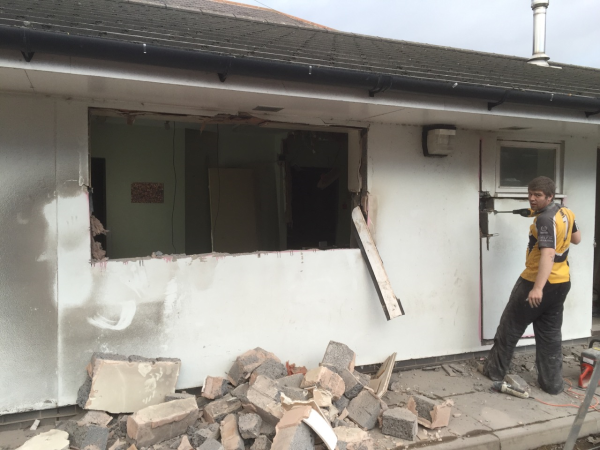 The second part of this project is to convert an unused area of the property into three self contained office spaces, New windows and insulation to ensure comfort and warmth. Its really coming together now. 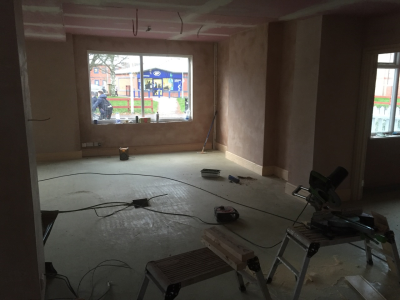 The new floor has been laid and skirting boards fitted by our Joiner. 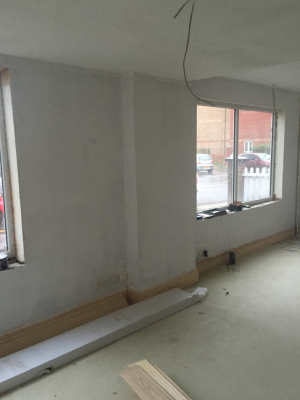 Now that all of the walls have been given a touch of undercoat you can start so see how fresh and modern this new office will be. 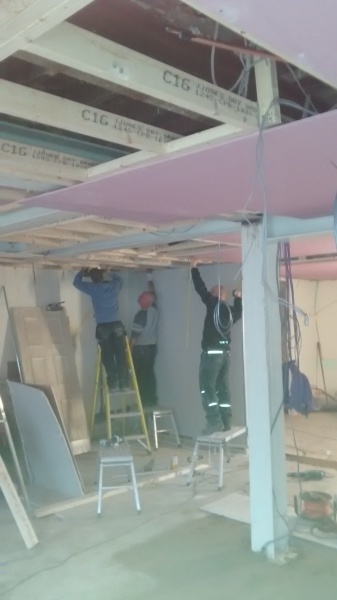 We have started to add the corporate colours and we think it looks great. Really vibrant and striking colours. 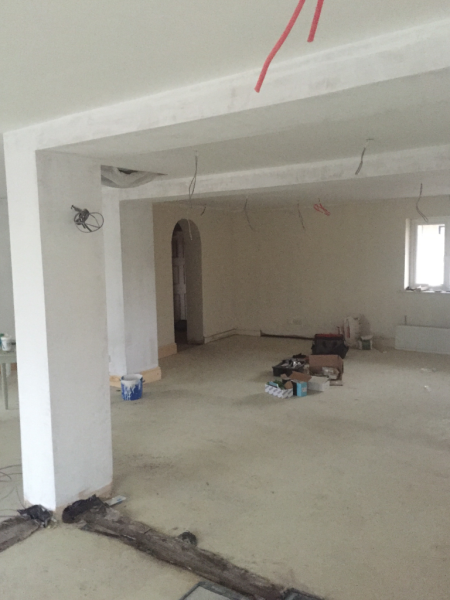 Just the Woodwork to gloss now before we can start laying the new flooring.